There was a man carefully sculpting this mound near us at the beach yesterday. We went to take a walk and he was gone when we came back! 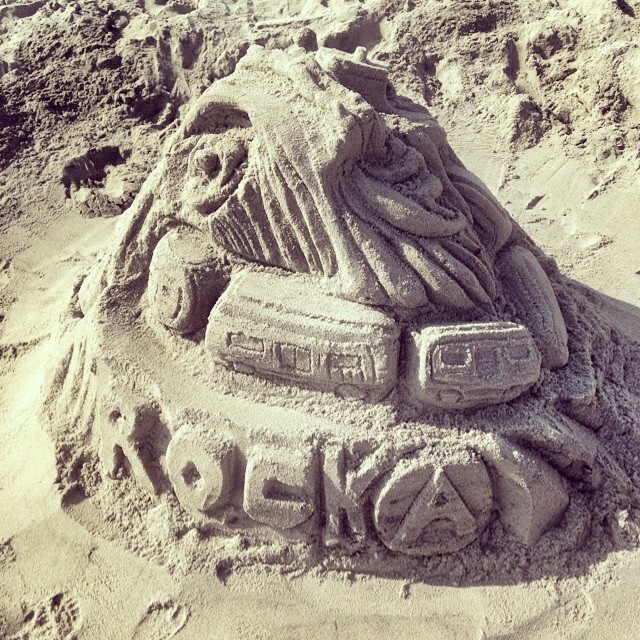 This was his finished product RockAway: a sand sculpture (at Beach 91st - Rockaway Beach).